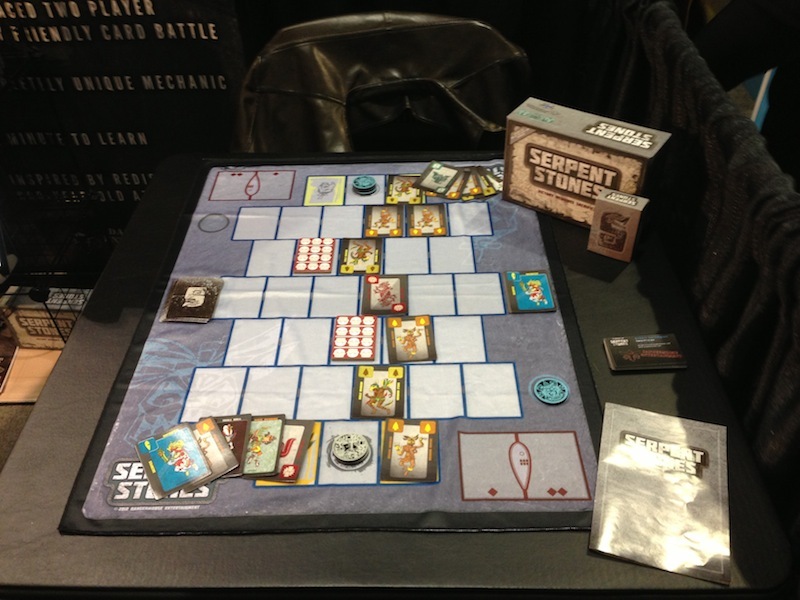 One of the first games I saw, and got to play, at Toy Fair was Serpent Stones by Robert Harrington. After a successful Kickstarter campaign, Robert is selling the game through Game Salute, which you can preorder for $40. The game is easy to learn, smooth the play, and has a good amount of strategy. Using warrior cards, Nahualli cards, and Teotl cards you battle, capture, and give yourself a tactical advantage to play and capture your opponent’s temple stone. An expansion will also be available that adds barriers that block off areas of the board, and includes 3 more types of special action cards. I also got a chance to meet the designer of Zpocolypse, Jeff Gracia, at the Game Salute booth. A really cool feature of the game comes in the rulebook. Every page of the rulebook has a QR code that can be scanned by a smartphone to access video clips of play examples of the rules on that page. Another Kickstarter success story, Zpocolypse can be preordered for $60. For more info on the game, see our previous post about it from October of last year. 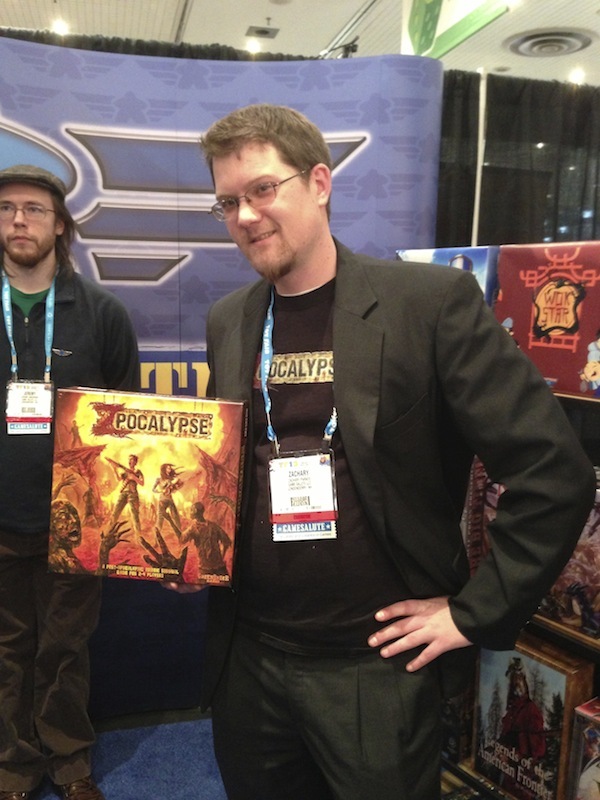 Just wanted to make a correction, That photo is of Zachary Parkes CO-creator of Zpocalypse. I only had copies of Jeff Gracia’s business card(never printed up any of my own), as this was a rare occasion where I (Zach) lived closer to the event then he(Jeff) was, and I’m’ not the regular go to guy for conventions. I’ll go on record saying that you’re more awesome, since you’re the person i met. Sound good?